It’s a beautiful combination of syllables, to be honest. I begged at their pronunciation for weeks, maybe a month plus, staring at the map of “What’s Beyond Baja?” still only a few weeks into our Mainland adventures. A week in a very “Myrtle Beach” (in the way Myrtle Beach is in my mind) spot where the ferry dropped us off after the first slice of the year in Baja. I want to be delivered into Mexico, that’s all I can think. I want to see amazing, different…I want to have that feeling that I had when I crossed the United States for the first time, when I first left my home country, when I first went “full-time”. That heart stopping, heaven thanking desire to just let your chest blast forth with the sheer merriment of what you’ve suddenly, seemingly accomplished. I want to immediately reject my agnosticism in hopes that whatever God still exists, he lives in the first days of when we began traveling, and then is reborn in all of the old-growth forests, the perfect campfire lonely nights, the moment you realize Mexico is just a thin border south away, a foreign country just begging us northerners to reach out and give it a chance. And so fresh off the boat from Baja, well I’m suddenly skin-tingling glorious in that night and moved to find a way to immerse myself in such a sensation of surroundings for an entire year. 180 days through and I’m quite certain I’ll at a minimum splice that year no less than full circle ’round the Sun. “Hola,” I mutter off in what I can manage of Spanish. “Queremos un habitacion. Es posible?” I’m looking for a place for us to stay. “No,” she says, digging through a pile of papers on her desk somewhat frantically, “No tengo ninguna habitación disponible.” She had nothing. I was sick of it already, this big city living that we’d only done for a few hours now. Heroica Veracruz may sound like a lovely beachside local, but the heat was cutting through even her air-conditioned office and the stink of the full on city, a big city, with ancient sewage issues and dead dogs in the street and all of it baking in the coming summer heat. It was not easy to arrive here. We left Sayulita only two weeks before. 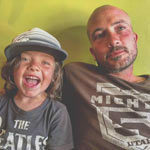 We loved that little surfer yoga town on Mexico’s Pacific Coast. We stayed for three weeks, rather long for us to stay anywhere, really, but as we tend to realize eventually, always, there is a time and a place to keep moving on, and for us that time is typically “always”. Still, we were spoiled there. Great food, and I do mean great food. Craft beers, cool ocean breezes. The prices were high but not even US high, just Mexico high. 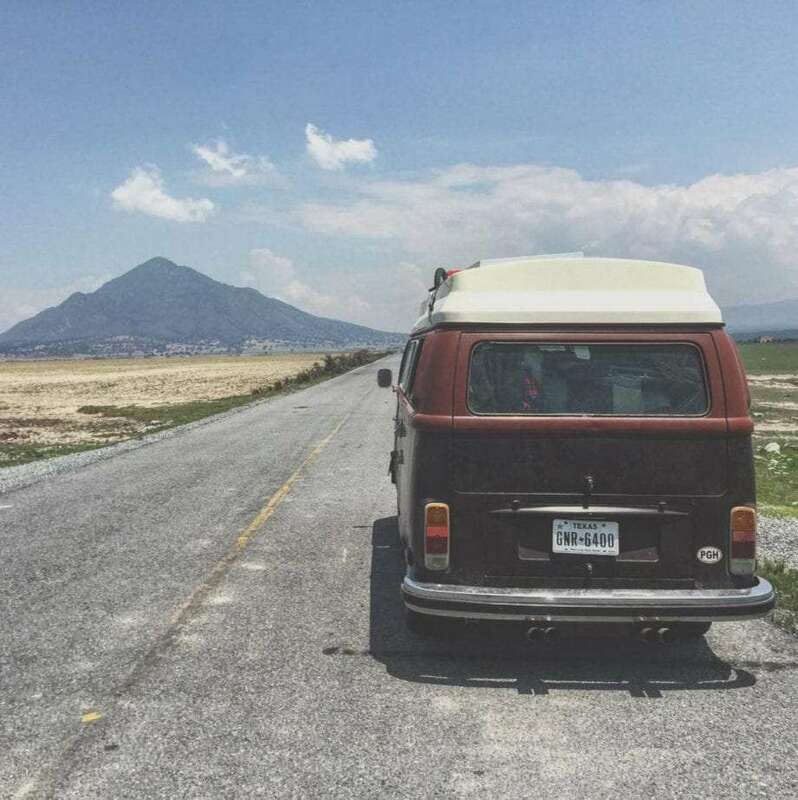 As our VW Bus began climbing the mountains and we headed west into the Mexican mainland, immediately the temperature shot up, the Bus felt iffy, she clearly had underlying problems which would need addressed in the near future. I tried to ignore them. I could see the look on Renée’s face, she wasn’t happy about the concept of leaving perfection for the unknown, but she is always as much of a trooper as one man can expect from a woman more than willing to live in a small van with three children. Those boys in the back seat didn’t seem to care one way or another. They would fight or draw pictures or cry or pass out as though it were any other day of the week. My mind was racing. I could feel the engine problems compounding. I didn’t know what it was, but something didn’t feel right. The way the shifter fell into it’s various positions, the way the engine recovered from shifting, the sound of the engine itself. Just something was wrong. I was also concerned now about being in mainland Mexico. Friends told us of the necessity to be concerned. These are not your average American friends, they’re fellow travelers, people who’d been in Mexico for months. Trouble was a-brewing, they told us. We listened. Thusly, I was nervous. Was Baja a fluke? We’d spent three months there and it was fabulous, we never felt like we were in any sort of danger, and the only reason we left was, well, that’s what we do. I had made the mistake of reading the US State Department’s warnings on Mexico the night before. So, my head trembling with a million nervous thoughts, we continue climbing, hoping to make it to Tequila before sunset. Ah, to live in a field of agave. Photo via our Instagram account. It’s been a long drive as we pull into a gas station that has two signs I’m quite interested in, “Bańos” and “Cajero”, the latter meaning ATM. I pull up and wait eagerly for the family to finish up their bathroom calls and light a cigarette while I wait. “No, no,” an attendant yells from across the parking lot. I’m twenty feet or so from the actual gas pumps, but he clearly doesn’t want me to smoke. I swear, the sun is hotter than both my cigarette and temperament in that moment, but I extinguish it and hop back into the Bus, ready to abandon the ATM and leave the moment my family returns. Except, I’ve turned the Bus off, and now it won’t start. I dig in the engine. I crawl under and check the starter. I know it’s the starter, but I don’t have the means to fix it and Mexico won’t have the part I need for several more months. I’m famished, desperate for an entire cigarette and half a bottle of whatever alcohol I can find. Good thing we’re in the Tequila, Mexico. It’s a “Pueblo Magico”, which thus far has been a designation that means a particular town is absolutely awesome. Sayulita was one and so was Todos Santos back in Baja. We’ll run into a few more exceptional towns that earned that badge in the next few weeks. Pueblo Magicos tend to have fun things like running water and flush toilets, a larger variety of restaurants, and typically more tourism as well. And not always foreigners, but Mexican natives looking to explore their own country. 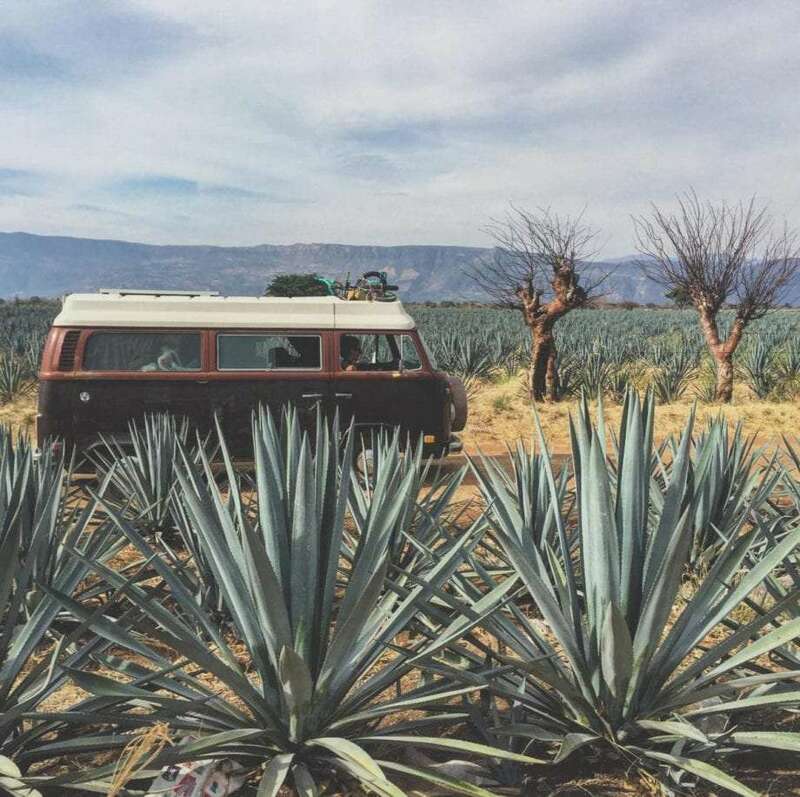 Tequila–though surrounded by some of the most beautiful fields you’ll ever see, rows and hilly rows of agave plants for miles surrounding the city–just didn’t do the trick. It didn’t feel like magic. It felt tough and gritty, people didn’t smile as we walked by with our little ones, they didn’t see us as a way to make a buck, they didn’t see us at all, or if they did, they had what I can only say with the truth that I know to be what I witnessed, disdain. In many ways, it was everything I’d said I’d been looking for, and I liked it. But at that moment, it just wasn’t what I was looking for. But we didn’t go right off the bat, either. The Bus wouldn’t start. The gas station was on the corner of two very busy roads. I needed to push her backwards to get her to a place where we could all push her forward to get started. It was going to be an uphill push. Renée and I, and our oldest (at 14) Tristan can typically push her enough to get her to a velocity great enough for me to hop in, pop her into 2nd, and catch the old girl in gear. But not up hill. Regardless, we gave it a shot. Struggling, clearly, I suppose the men working the gas station saw us and either felt bad or were just genuinely–like so many Mexican men–interested in helping. I don’t know how many guys were behind us when we started chugging along at 5 or 6 miles an hour but we did. I hopped in, worked the clutch, and we were off again. So long Tequila, I guess I was wrong about you. Guadalajara is everything I try to avoid during our travels. A massive city surrounded by strip malls and so many people and aggressive drivers and police checkpoints galore and traffic. Oh, the traffic. As hour four progressed ever closer to hour five and we were now just sitting in a line of paused cars, the sun still blaring, no air conditioning, the Bus’ engine, I was certain, hotter than all hell in a microwave, I had to keep pumping the gas to prevent her from shutting down. Evening was coming. We were desperate for a hotel but given the lack of obedience by Mexican drivers as to what lanes are, exit etiquette, and a general desire to never slow down at all, I couldn’t even figure out how to get off of the freeway. The tension filled the Bus and I swear if it weren’t for the windows being open it would have suffocated us all. One hotel didn’t have parking. Another was closed for the year for renovations. Finally, we found a place to stay. “Everything is possible,” he said, carrying our bags up those three flights of stairs and opening that hotel room door for us. The AC was already on, and the cool heaven of it all came oozing out of the door, all over our skin and into our pores, as we climbed in and immediately fell into the two twin beds. I looked at a map on my phone. We were in the heart of the city. Another morning’s worth of this past afternoon were our certain future. But soon, very soon, we’d be out of this stretch of Mexico and off to somewhere we wanted to be. I wasn’t looking forward to it, but I thought of his words. “Everything is possible,” it’s all a matter of mindset. So, I set my mind to a more positive note as night and gravity conspired against my eyelids. We spent a week in San Miguelle de Allende. It was glorious, like Sayulita but bigger, and with no ocean, and no hippies. Hard to explain but every day as we walked by a mechanic who seemed to specialize in old air-cooled Volkswagens I completely spaced on our engine troubles. I had craft beer and great restaurants on the mind. I was in the market for a guitar. I could speak with a local bartender well enough to practice my Spanish and have some good conversation. A week later we left without ever talking to that VW mechanic. We had trouble all the short way to Guanajuato. It was fabulous too. I had to fix the clutch myself the day we left that glorious “all Mexican” tourist town, and I barely got her to the point where she could work her away up and out of those big mountains. Still, between Guanajuato and Heroica Veracruz there were two pyramids and two national park volcanos we wanted to check out. Just barely. By the last of our touristic destinations, she wouldn’t even climb the smallest of hills. Luckily, it was literally all down hill from there. 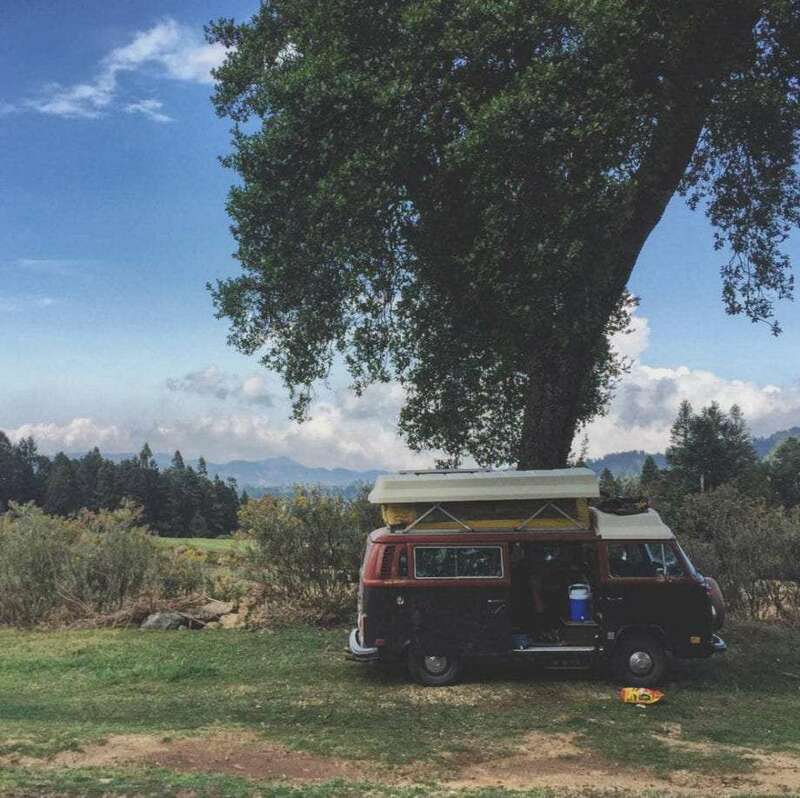 These were the thoughts lingering in the back of my once again heavy eyes as we spent that night at the top of a volcano, Mexican pines swaying above us, not a sign of beach or desert or jungle for miles, just layers of massive rocky mountains. I never knew Mexico would own it’s own slice of the Rockies like this. I could have stayed for a month if I didn’t have to work all along this journey of ours. “Si,” he said, “we have rooms.” He smiled at me, speaking English. “$75 per the night,” he informed me. I don’t think he expected me to agree…and then bring in my family of five. He didn’t protest either though. “Can I park my own car?” I asked. I shrugged and agreed, helping the family with our bags to the elevator before running back out to talk to the valet. “Puedes estacionar?” Those weren’t hit words exactly, but that’s all I gathered. “Can you park it?” he was asking. I laughed and, merrily, hopped into my own vehicle. Not only could I park it, I preferred to. In fact, I was downright terrified of the idea of someone else driving her at all. An hour later I’ve got a freshly lit joint just touching my lips for the first time in days. Sitting on the small balcony some ten stories high, none of the adjacent ones showing any signs of life, I survey the city of Veracruz before me. Eleven reporters were killed by the state’s government for speaking out against the governor. A carnival lights up in the distance, looking half broken and shouting the sounds of a Mexican fiesta even on a weekday. The stench of the city is rising up even this high, and the stars have been drowned by big city lights. This would be a perfect place to find a mechanic. There are bound to be dozens if not hundreds of them who work solely on old Volkswagens. Instead, Renée and I agree that we should take our chances and leave. “Chetumal, Quintana Roo,” we both agree, knowing nothing about that town. Nothing except that it’s anywhere but here, and that’s exactly where we want to be.